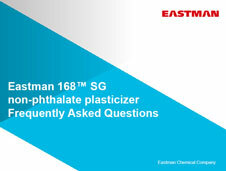 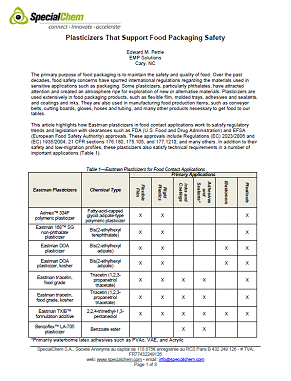 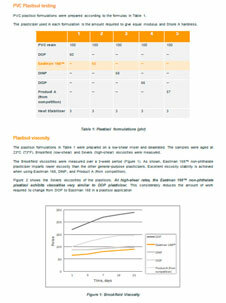 Eastman 168™ SG from Eastman is a non-phthalate plasticizer. 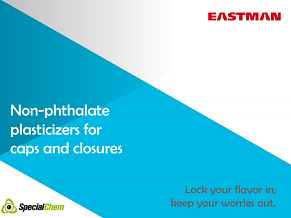 Offers sensitive applications, security of supply and the most stringent QA protocols in a high-purity product, coupled with access to proprietary test data. 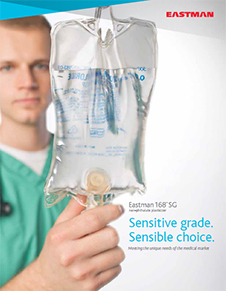 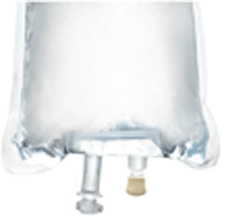 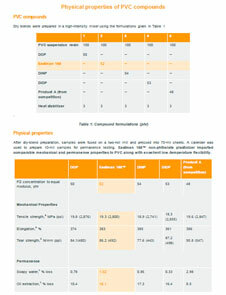 It offers low extractables, low migration and a clean toxicological profile. 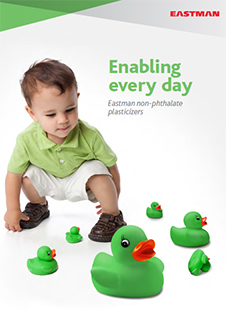 It is an enhanced grade of the industry-leading Eastman 168 non-phthalate plasticizer is specifically targeted at more demanding applications such as medical devices, toys, childcare articles and food contact applications. 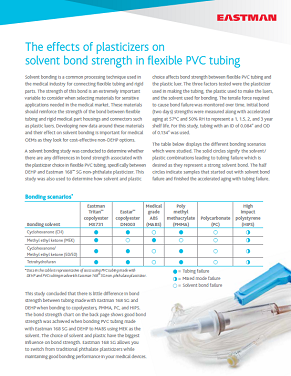 Also used in bottle caps and closures, flexible film, PVC bags and tubing.